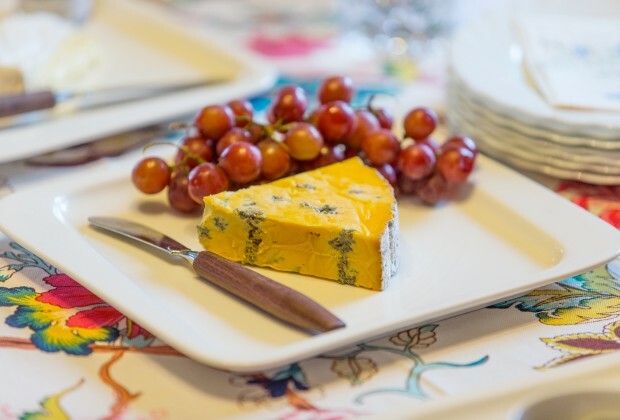 The Visa Welly On a Plate (VWOAP) Supplier Showcase is where the region's best producers and suppliers schmooze with food industry insiders and show off their delicious foodstuffs. It's the ideal time for Wellington chefs and bartenders to discover new ingredients and get inspiration for their VWOAP menus, which have to be signed, sealed and delivered on 20 February. 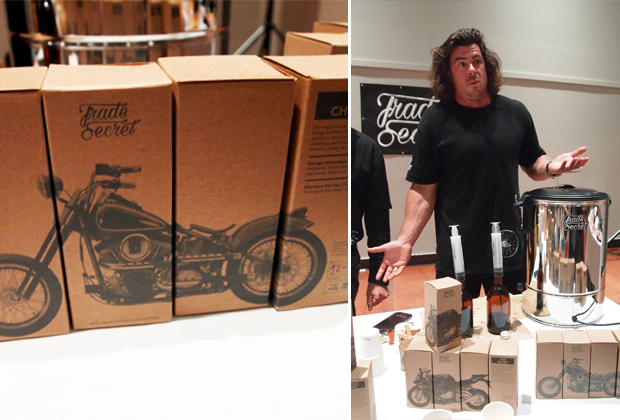 Corban Halcrow, who is pretty into motorbikes, founded Trade Secret as a spinoff of family business Kapiti Coffee Company, which he runs with his dad Warwick. He uses cold brew methods to create concentrated, aged coffee that is incredibly flavoursome, and can be used to create a quality morning brew at home without faffing around pulverising beans with a grinder or spending up large on an espresso machine. It's kind of like instant coffee for the caffeine cognoscenti - super accessible and remarkably delicious for something which is actually as simple as 'just add water'. I've fallen in love with the 'Chopper' Guatemala blend, with its chocolatey and earthy flavours, which is aged for four months before being bottled. Add a little to some hot water and - if you're a fellow dairy fiend - a splash of milk and it's a perfectly balanced coffee with only as much effort as making a cup of gumboot tea. Corban believes in having less but buying better quality products, and it shows in his business, with its stylish branding and minimal packaging. He especially recommends the liquid coffee concentrates for late in the night at parties when the allure of wine and beer has worn off, saying they're amazing served with some vodka, frozen grapes and dark chocolate. I'll take his word for it, but I reckon they'd make a mean espresso martini too, or an easy affogato drizzled over some Wooden Spoon vanilla ice cream. Trade Secret coffee is available from their website, as well as literally off the back of Corban's truck at the Paraparaumu Beach Market on Saturday mornings. I've had a soft spot for Kingsmeade cheese since my parents went on a horse trek in Cambodia a few years ago and were charmed to find out that their guide was a lovely young Kiwi woman whose parents produced sheep's cheese in the Wairarapa. Those parents would be Janet and Miles King, the talented duo who founded Kingsmeade Artisan Cheese about 20, and have expanded from a flock of 60 in 1998, when sheep's milk cheese was considered quite unusual, to around 200 now. Their ewe's and cow's milk cheeses are all miraculous, and barely a cheeseboard goes by in my life without their buttery Sunset Blue on it. 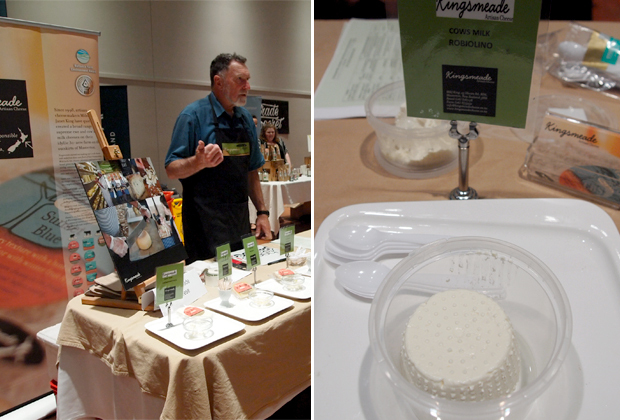 I was rather excited to see two new products from Kingsmeade at this year's Supplier Showcase - ribiolino and stracchino. These are both fresh Italian-style cow's milk cheeses which are made in Masterton with no preservatives. I'd never seen either of these styles in New Zealand before. The robiolino is a firm little round of cheese with a tangy and delicate flavour, which looks like pressed ricotta in the pottle. I devoured it drizzled with Lot 8 olive oil and fresh parsley, spread over my homemade sourdough. Kingsmeade cheesemaker Roberto Ribichesu recommends the stracchino, which is very young, soft and spreadable, stirred through pasta with pesto and fresh vegetables or used on a pizza without a tomato base. It'd be brilliant in a caprese salad in place of mozarella too. Miles King says these two cheeses are too new to even have proper labels, but they are available from Ontrays in Petone for those who can't wait. My love of locally-grown nuts developed fairly recently when I tried the macadamias that my fella's family grow on their market garden and was gobsmacked by how flavoursome and fatty they were by comparison to the chalky and bland imported nuts generally found here. FINZ have been around for three years processing hazelnuts grown around the lower North Island, and I tried them for the first time at the Supplier Showcase. Husband and wife duo John and Geraldine Findlay work with local growers to process hazelnuts into a variety of products, including the magical hazelnut butter that is made from stone-ground hazelnuts without any added sugar, salt or oils - it just doesn't need anything else. This simple product has a super rich flavour and texture, and I'm fantasising about slathering it on a slab of brioche. Their chocolate nut butters are perfect for those with a sweet tooth, with all the indulgence of Nutella but ten times tastier. I also sampled their delightful dukkah, which John assures me is brilliant on baked zucchini with olive oil. 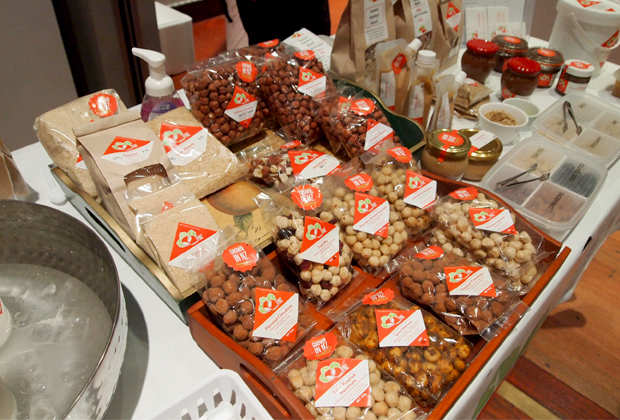 You can also buy their plain, savoury or sweet nuts for baking and cooking - trust me, it's well worth it to seek them out over imported nuts.